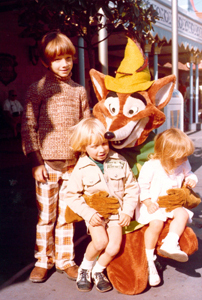 Here I am with my sister and brother when we were kids in the 70’s, meeting Robin Hood (below, left). 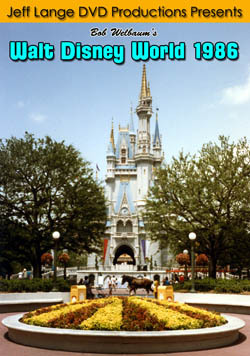 He is much taller than the newer version with sharper features! 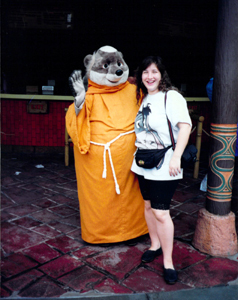 Friar Tuck holds up his hand with my sister in front of the Sunshine Tree Terrace (below, right). 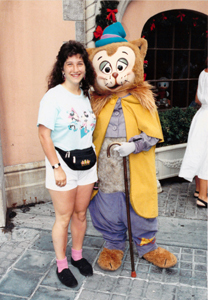 The Sheriff of Nottingham doesn’t look much different this week than he did about 30 years ago with my mom (below, left). 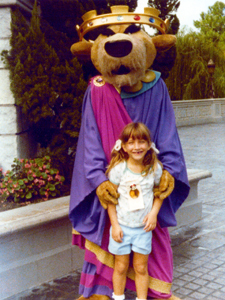 Prince John also looks very similar, here he is with my sister in the 1970’s (below,right). 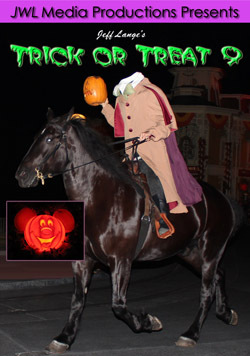 The Three Little Pigs and Big Bad Wolf are also available for Limited Time Magic through Sunday (below, left). 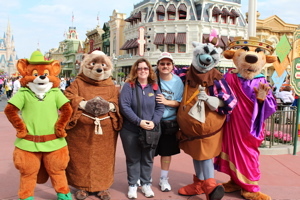 We enjoyed posing with them (below, right). 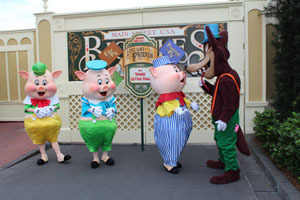 The Three Little Pigs look quite different than their previous incarnation, but the Big Bad Wolf doesn’t appear to have changed much. 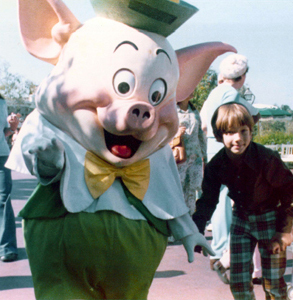 My brother and I posed with Fiddler Pig (below, left) and Fifer Pig (below, right) in the 1970’s. 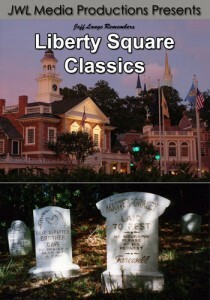 Their look was quite different than what you see above. 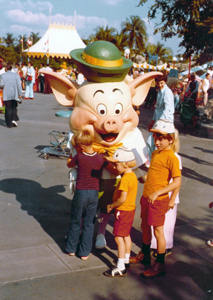 Fifer Pig’s hat was much larger too! 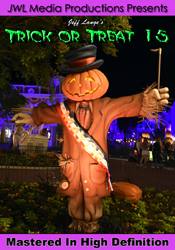 Some friends said they seemed scarier back then but I found them charming. 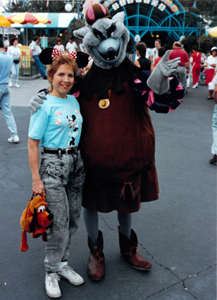 Here is the Big Bad Wolf from many years ago (below, left), he looks almost exactly the same! 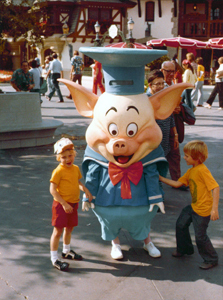 And I pose again with Fifer pig (below, right), nearly 40 years ago. 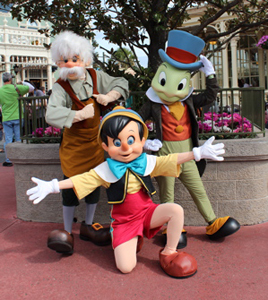 Pinocchio, Gepetto and Jiminy Cricket aren’t really long lost friends having just retired from greeting guests at the Magic Kingdom last year (below, left), but they still attracted a long line! 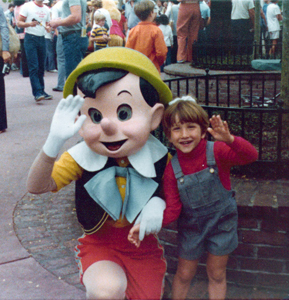 Here is my sister with Pinocchio in the 1970’s (below, left) – he has a similar look to now, but you can find differences, including his bow. 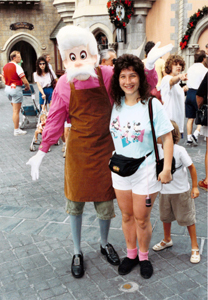 This is my sister with Gepetto in the 1990’s (below, left), and with Gideon – also from Pinocchio (below, right). 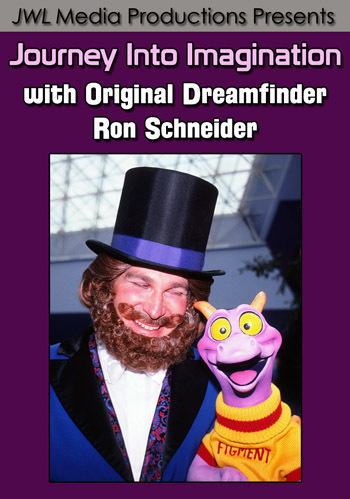 We haven’t seen Gideon in the park in many years! 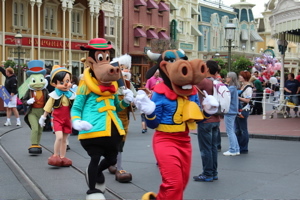 Horace Horsecollar and Clarabelle Cow make quite the grand entrance during Long Lost Friends Week (below, left). 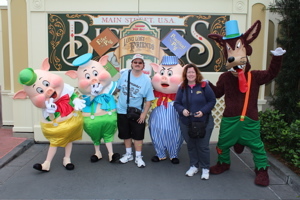 Here, Denise and I pose with them (below, right). 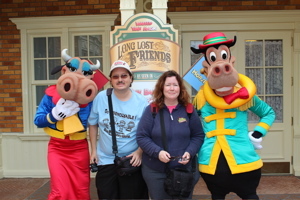 They both continue to appear in the parks for the Hoedown and various parades but are not regularly available for meet and greets. 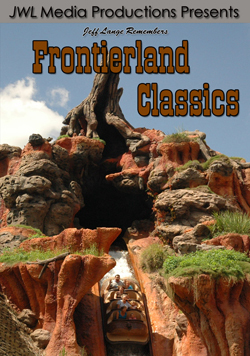 Video #1 – Limited Time Magic Long Lost Friends Week – Ludwig Von Drake, Three Little Pigs, More, Magic Kingdom – Long Lost Friends Week is this week’s theme for Limited Time Magic! 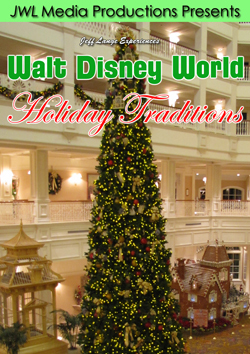 We met Scrooge McDuck & Ludwig Von Drake, Jiminy Cricket, Pinocchio & Gepetto, Robin Hood, Prince John, Friar Truck & The Sheriff of Nottingham, Horace Horsecollar & Clarabelle Cow, Big Bad Wolf, Fiddler Pig, Practical Pig, and Fifer Pig! 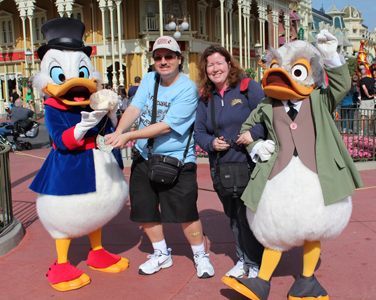 Denise’s friend Taylor on Twitter suggested offering money to Scrooge McDuck when we met him (below, left). 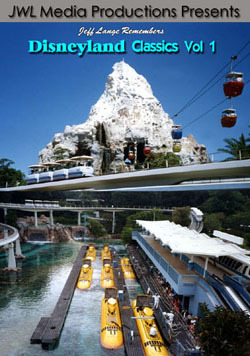 It didn’t work! 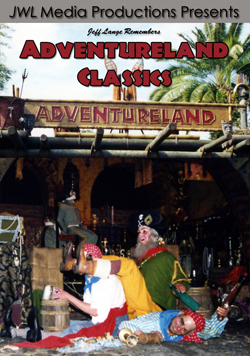 He was only interested in gold. 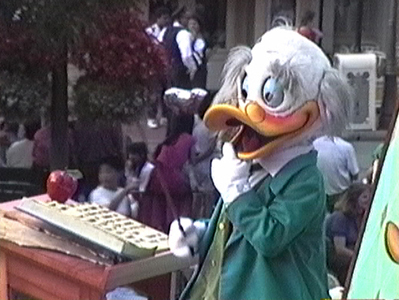 We do see Scrooge semi-regularly – mostly in the winter – but rarely Ludwig Von Drake. 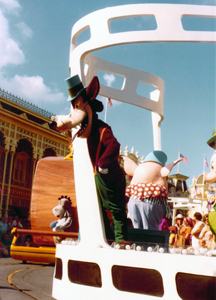 He looked a lot different in The World According to Goofy Parade (below, left) from 1992. 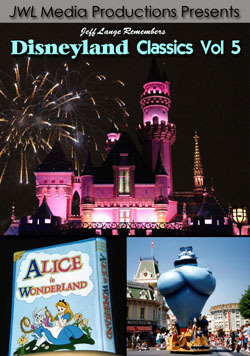 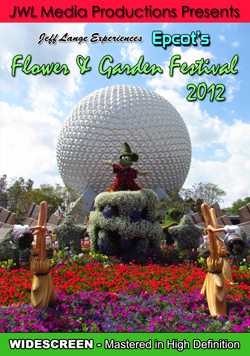 This is from my Disneyland Parade Classics DVD! 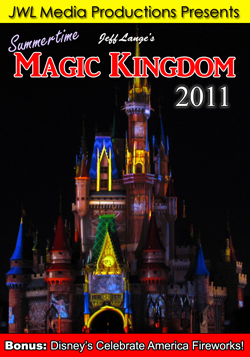 Video #2 – Scrooge McDuck and Ludwig Von Drake, Long Lost Friends Week – Magic Kingdom, Limited Time Magic – Scrooge McDuck and Ludwig Von Drake are part of Long Lost Friends Week at the Magic Kingdom this week for Limited Time Magic! 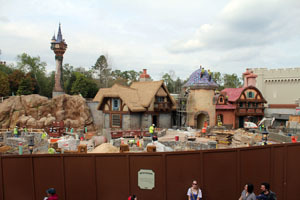 While we were at the Magic Kingdom, we enjoyed lunch at the Columbia Harbor House with a view of the Fantasyland construction that includes Rapunzel’s Tower and new bathrooms (below, left). 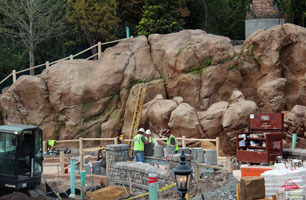 There is a bridge being built near the rock work (below, right). 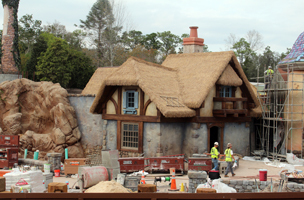 It seems to be everyone’s opinions that these will be the most beautiful bathrooms on Walt Disney World property (below, left and right). 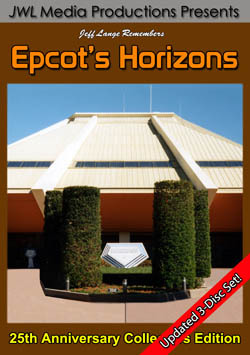 Video #3 – MouseSteps Weekly #38 – Limited Time Magic Long Lost Friends at Magic Kingdom, Epcot Habit Heroes – Includes the following: Limited Time Magic Long Lost Friends Week, where we met a slew of Disney characters from the past (and some still from the present). 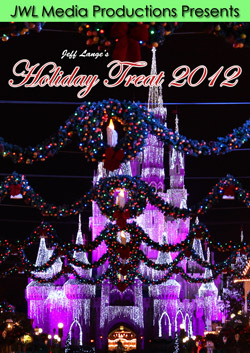 Scrooge McDuck, Ludwig Von Drake, Robin Hood, Clarabell Cow and many more can be found in this video. 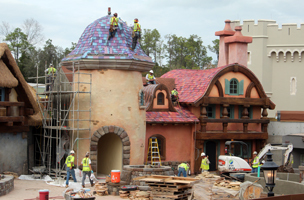 The Rapunzel Tower and bathroom construction, which promises to be the most beautifully themed bathrooms at Walt Disney World! 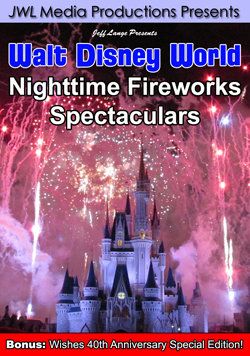 We also stop for a Spicy Chicken Waffle at Sleepy Hollow Refreshments, and New Fantasyland to check out the Seven Dwarfs Mine Train construction. 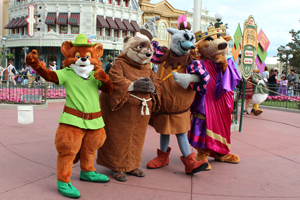 Epcot’s Habit Heroes, which is back up and running after a year away to be retooled. 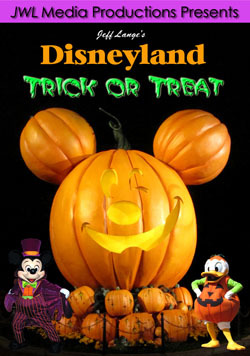 We first stop for a Beverly drink at Club Cool and a picture with Minnie and Goofy!